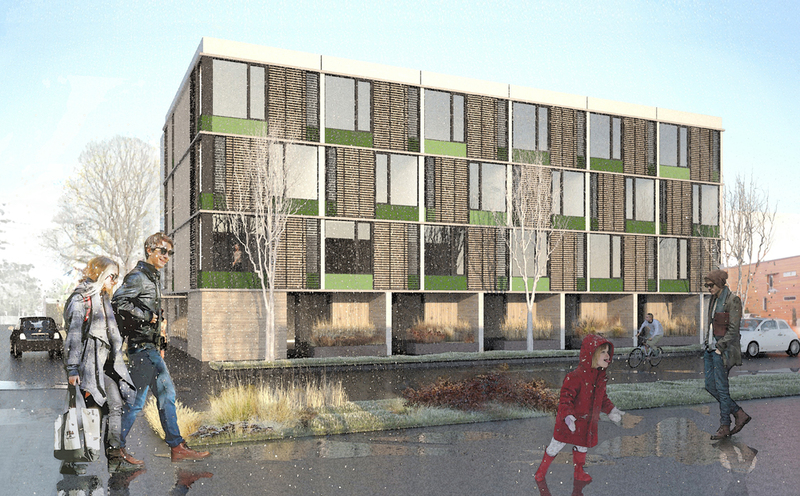 HANK is a new 23-unit high-performance apartment building on the SE Ankeny bicycle corridor. 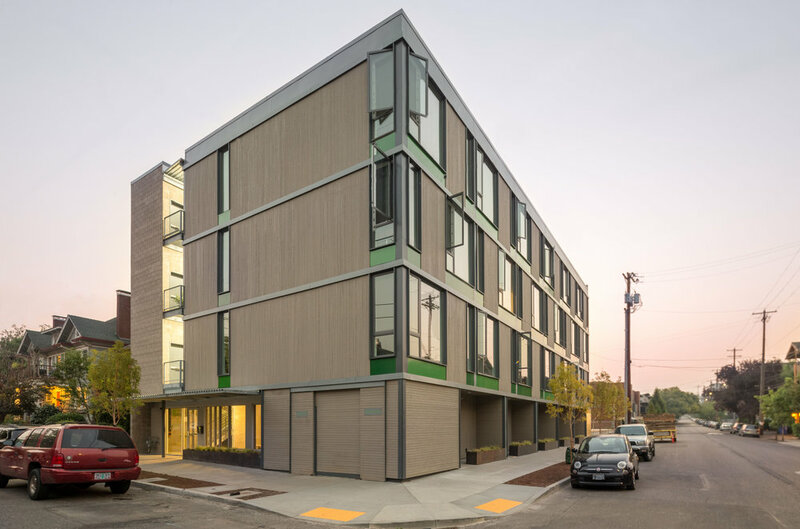 The compact building features generous south facing glazing with sliding sunscreens; reducing solar heat gain in the summer and eliminating the need for mechanical cooling. 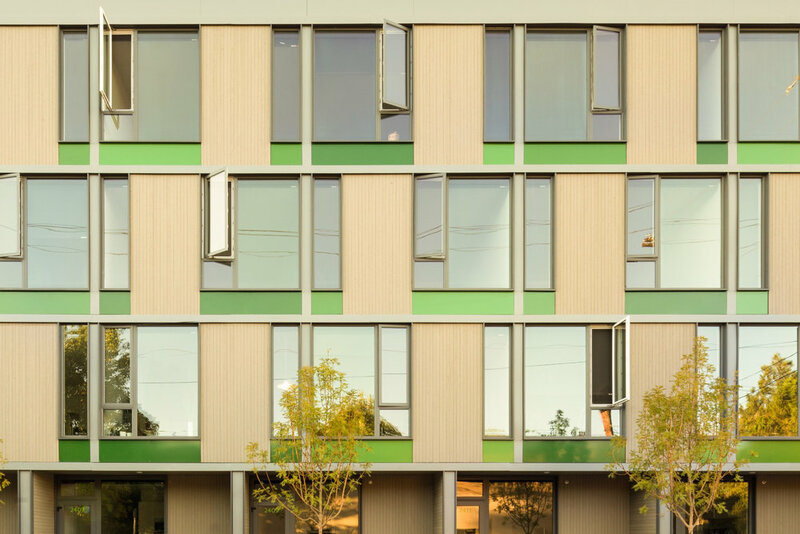 External circulation on the north side of the building allows daylight and ventilation from both the front and back of each unit. 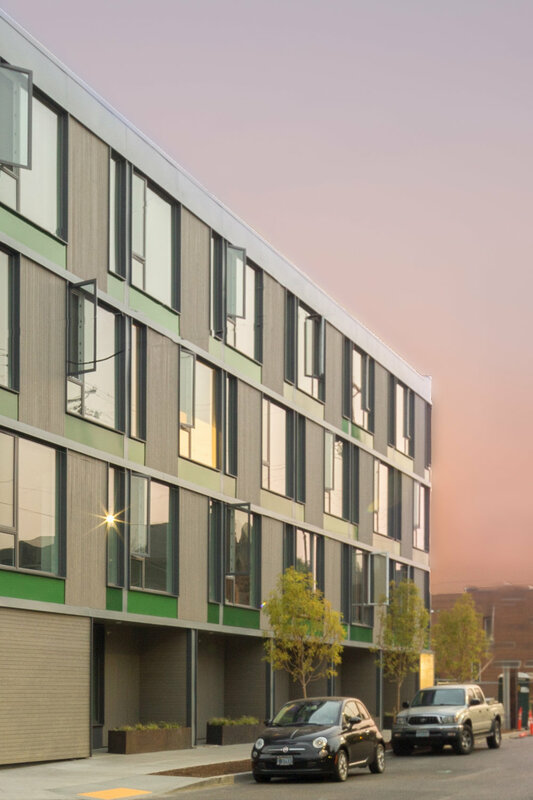 A highly insulated airtight envelope combined with mechanical ventilation with heat recovery ensures a highly energy efficient building.